SaaS (Software-as-a-Service) is a cloud computing model, which is sometimes referred to as “on-demand software”. Existing SaaS platforms are investigated before building new distributed SaaS platform. The service data mining and evaluation on existing SaaS platforms improve our new SaaS platform. For SaaS that provide various APIs, we analysis their website data in this paper by our data mining method and related software. We wrote a crawler program to obtain data from these websites. The websites include Baidu API and ProgrammableWeb API. After ETL (Extract-Transform-Load), the obtained and processed data is ready to be analyzed. Statistical methods including non-linear regression and outlier detection are used to evaluate the websites performance, and give suggestions to improve the design and development of our API website. All figures and tables in this paper are generated from IBM SPSS statistical software. The work helps us improve our own API website by comprehensively analyzing other successful API websites. 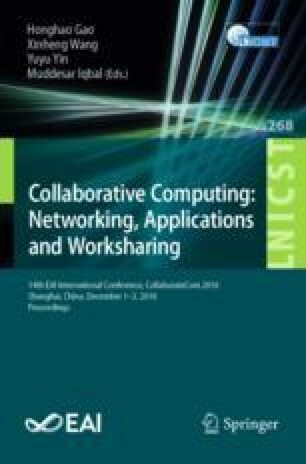 This work was supported by grants from Natural Science Foundation of Inner Mongolia Autonomous Region (2015BS0603) and Open Foundation of State key Laboratory of Networking and Switching Technology (Beijing University of Posts and Telecommunications, SKLNST-2016-1-01).